Our multisports club works alongside the Nutrition Club to provide a group of children additional activities at lunchtime. The lunchtime is split so one day is nutrition theory, the other day is active. 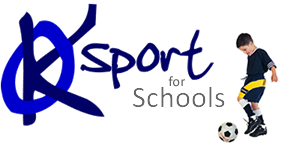 The groups of children can by cycled throughout the school to ensure all children are getting additional physical activity, structured fun and sound nutritional learning, or the school may choose to identify those children they feel will benefit the most from these clubs. Either way, our coaches are sensitive to the requirements.